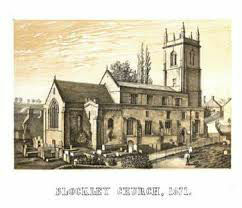 The Church of St Peter and St Paul is a beautiful Grade Two Star building in the heart of Blockley village. 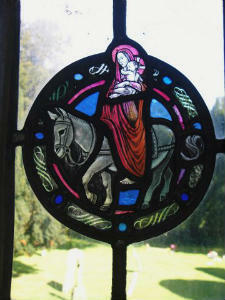 Full of human interest and interwoven with the people of this place for more than a thousand years, the church has survived good times and bad, and in the process has been altered, extended, and embellished. 1630: The clerestory was added to the nave, with timber four-centred roof trusses, and the chantry chapel became a vestry with curate's accommodation above it. The first bells were hung. 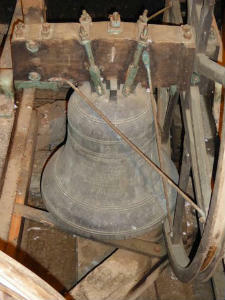 A Peal of Ten Bells hangs in the tower. The 6th and the 7th are the earliest and were hung in 1638 during the reign of Charles 1st. The 6th is tuned to A and carries the motto ‘GOD SAVE THE KING 1638’, whilst the 7th, tuned to G, bears the motto ‘HENRY BAGLEE MADE ME 1638’. The heaviest of the peal is the Tenor weighing 16 ¼cwt, and the lightest, added in 1894, is the Treble which weighs 4 ½cwt and bears the motto ‘CALL A SOLEMN ASSEMBLY’. The original peal of eight bells was re-hung in 2017/8 with the addition of two new bells - a Treble and the Second.